Two UNE academics recently returned from a life changing journey to Antarctica, an experience they shared with women from 26 different countries. 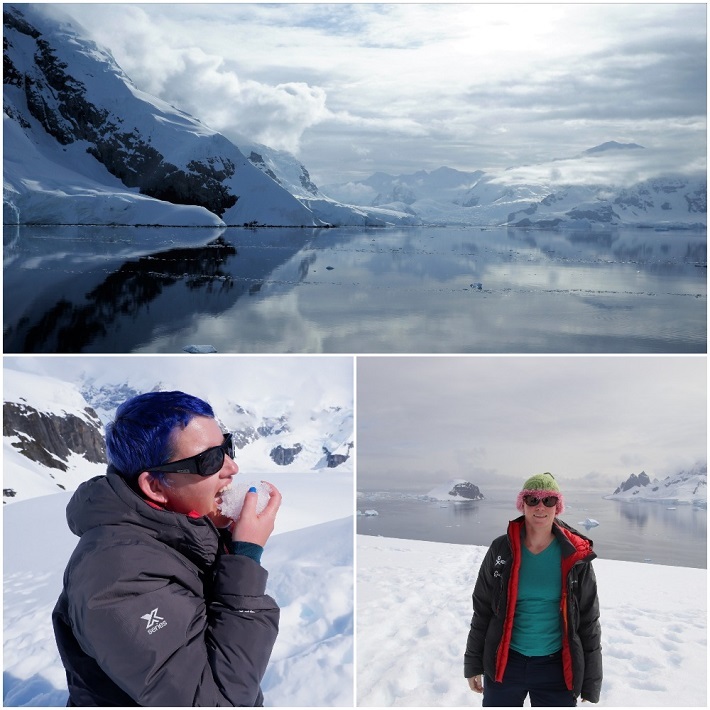 Image: Dr Mary McMillan (L) and Dr Debbie Bower recently returned travelled to Antarctica as part of the Homeward Bound women in leadership initiative. Also pictured is Paradise Bay. Dr Mary McMillan, Lecturer in Biomedical Sciences, and Dr Debbie Bower, Lecturer in Ecosystem Rehabilitation, were part of the annual Homeward Bound leadership project – an initiative that aims to heighten the influence of women making decisions that shape our planet. Both returned home to Armidale with deeper self-knowledge, and an understanding of shared professional experience. For Mary it was predominately a journey of rediscovery, with time and opportunity to focus on herself. What stood out for Debbie is that women in science are stronger together and only with collaboration will they overcome the gender bias in leadership and be able to tackle current day issues such as the climate crisis - a strong theme on the voyage. Next week Monday is International Day of Women and Girls in Science. Mary and Debbie are actively promoting science for women so that everyone knows how useful and fun it can be, so that the next generation grow up seeing female role models wearing lab coats and khaki, having adventures and solving mysteries. They also have a strong message for girls and students contemplating study or a career in STEM.